Taizhou Sanyang Heavy Machinery Co., Ltd.
Luoyang Zhongyuan Mining Machine Manufacture Co., Ltd.
Q1: How to guarantee the Quality of Industrial Parts9 A1: we are ISO 9001-2008 certified firm. we have the integrated system for industrial parts quality control. our Industrial parts products are featured by strict tolerance, smooth finish and long-life performance. Dandong Falin Forging Machinery Co., Ltd.
Zhangjiagang Jiangnan Forging Co., Ltd.
We have complete production equipment s , the most accurate testing equipmen ts and sewage treatment equipment,all production processes are completed in our factory. Our products are used in mobile vibration motors,smart wearable devices ,unmanned aerial vehicles,precision medical equipment, robots,household and office appliances, automotive motors and other fields. 5.If you can't find the products from our web, pls send us an inquiry to us,even if we can't make ,we know china market very well ,and can help you to find the same product with good quality and low price. Salt Spray Time 24 hours,48 hours,96 hours,mostly we would do that based on your requirements,also together with the salt spray checking report. Our Service We specialized in the production of high precision metal parts,fastener series(rivets,screws,nuts),auto spare parts,automatic lathe parts and CNC machining parts,metal stamping parts,etc. Q: Do you provide samples 9 is it free or extra 9 A: Yes, we could offer the sample for free charge but do not pay the cost of freight. 4. When blocking product it is required that all blocks/ supports be placed under stationary features and will not shift during transit. is a manufacturer processing the components for the Gearbox and the whole gearbox as the reducer or the speed-up gearboxes. For the international business support, we have a team can give you a good service with more than 7 years export experience. High Quality Marine propeller shaft/Stern Tube Propller stern tube,marine stern tube. 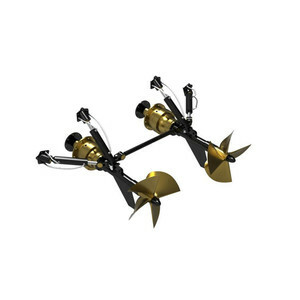 We can make the propeller stern tube according to your request. Kindly let us know your requested material, size. WHY Choose Ireata9 As a joint venture company, Ireata inherits the European enterprise's "people oriented" culture, eliminating end user's life,proprity and environment damage by providing high quality products. ) is a joint venture company with Spain which occupies 210 thousand square meters and possesses fixed assets with amount USD 86.75 million. 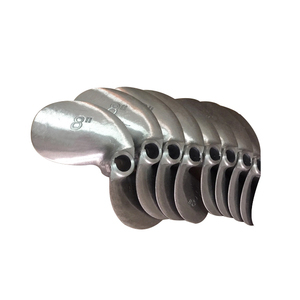 The register capital is USD 45 million and now the workers number reaches to more than 800.We mainly specialize in providing various forgings like piping flanges, wind power flanges, rings and shafts. 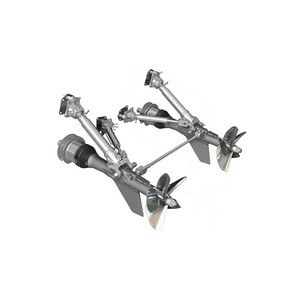 Alibaba.com offers 1,497 marine propeller shaft products. About 28% of these are stainless steel bars, 16% are shafts. A wide variety of marine propeller shaft options are available to you, such as steel, stainless steel, and aluminium. You can also choose from spline, gear, and flexible. As well as from black oxide, nickel. And whether marine propeller shaft is free samples, or paid samples. 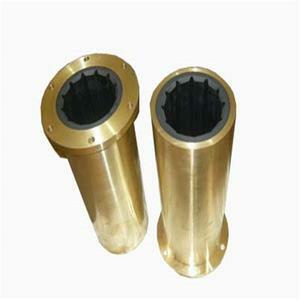 There are 1,408 marine propeller shaft suppliers, mainly located in Asia. The top supplying countries are China (Mainland), India, and Vietnam, which supply 98%, 1%, and 1% of marine propeller shaft respectively. Marine propeller shaft products are most popular in Southeast Asia, Mid East, and South America. You can ensure product safety by selecting from certified suppliers, including 343 with Other, 257 with ISO9001, and 50 with ISO/TS16949 certification.